POWER OUTPUT: 5kW (from 2.5kW to 5.5kW). FREQUENCY RANGE: 87.5 to 108 MHz, tuned to specified operating frequency. Exciter programmable in 10kHz increments. RF OUTRUT IMPEDANCE: 50 ohms (others on special request). OUTPUT CONNECTOR. 1 5/8” EIA flange. VSWR: 1:8:1 maximum (will operate into higher VSWR with automatic power reduction). FREQUENCY STABILITY: +/- 30OHz, 0° to 50°C, temperature compensated crystal oscillator. TYPE OF MODULATION: Direct frequency modulation of carrier frequency. MODULATION CAPABILITY: Greater than +/-200 kHz. MODULATION INDICATION: Peak reading, color coded, LED display with baseband over-modulation indicator. EXCITER:Solid state, 30 watt output, Model FX-30; incorporates digitally programmed synthesizer (10 kHz increments). PRE-EMPHASIS: FCC 75uS, CCIR 50uS (where specified), or 25uS (Dolby). ASYNCHRONOUS AM S/N RATIO: 55dB below reference carrier with 100% AM modulation @ 40OHz, 75 microsecond de-emphasis. (no FM modulation present). SYNCHRONOUS AM S/N RATIO: 40dB below reference carrier with 100% AM modulation @ 40OHz, 75 microsecond de-emphasis. (FM modulation +/- 75kHz @ 400Hz). RIF HARMONICS: Supression meets all FCC/DOC requirements and CCIR recommendations. AC INPUT POWER: 208V WYE/240V Delta, 50/60Hz, three phase. (Taps for 196 to 252V). (Other voltages are available upon request). POWER CONSUMPTION: 8.5kW, 0.9PF @ 5kW output. ALTITUDE: 7500 ft. @ 50 Hz (2286 M) 10,000 ft. @ 60 Hz (3048 M). AMBIENT TEMPERATURE RANGE: -10°C to +50°C. AUDIO INPUT IMPEDANCE: 600 ohms balanced, resistive, adaptable to other impedances, 50 dB common mode supression. AUDIO INPUT LEVEL: +10 dBrn nominal for +/- 75 kHz deviation @ 400 Hz. AUDIO FREQUENCY RESPONSE: +/-0.5 dB, 30 Hz to 15 kHz, selectable flat, 25, 50 or 75 microsecond pre-emphasis. HARMONIC DISTORTION: 0.08% or less, 30 Hz to 15 kHz. INTERMODULATION DISTORTION: 0.08% or less, 60 Hz/7 kHz, 4:1 ratio. TRANSIENT IMD: 0. 1 % or less (square wave/ sine wave). FM S/N RATIO: 75 dB below +/-75 kHz deviation @ 400 Hz (78 dB typical) measured in a 30 Hz to 15 kHz bandwidth with 75 microsecond deemphasis. COMPOSITE INPUTS: 3 total, (1) unbalanced and (1) balanced plus front panel test. BNC connectors. COMPOSITE INPUT IMPEDANCE: 10 k ohm, nominal, resistive. COMPOSITE INPUT LEVEL: 3.5 VP-P nominal, for +75 kHz deviation. COMPOSITE FM S/N RATIO: 75 dB below +/-75 kHz deviation @ 400 Hz (78 dB typical). Measured in a 30 Hz to 100 kHz bandwidth with 75 microsecond de-emphasis. COMPOSITE HARMONIC DISTORTION: O.08% or less (.04% typical). COMPOSITE INTERMODULATION DISTORTION: 0.08% or less (.04% typical). COMPOSITE TRANSIENT IMD: 0. 1% or less (square wave/sinewave). COMPOSITE AMPLITUDE RESPONSE: ± 0.1 dB, 30 Hz to 53 kHz. COMPOSITE PHASE RESPONSE: +/-0.5° from linear phase, 30 Hz to 53 kHz. COMPOSITE GROUP DELAY: 390 nanoseconds +/-25 nanoseconds, 30 Hz to 53 kHz. COMPOSITE SLEW RATE: 12 V/microsecond (symmetrical). AUDIO INPUT IMPEDANCE: 600 ohms balanced, resistive, floating. (Adaptable to other impedances). AUDIO INPUT LEVEL: +10 dBm, +/-1 dB for 100% modulation @ 400 Hz. (Adaptable to other input levels). AUDIO INPUT FILTER: 15 kHz LPF with delay equalization for minimum overshoot. FREQUENCY RESPONSE: +/-0:5 dB, 30-15,000 Hz, 75 usec pre-emphasis (flat, 25 or 50 usec pre-emphasis selectable). TOTAL HARMONIC DISTORTION: 0.08% or less, 30-15,000 Hz. INTERMODULATION DISTORTION: 0.08%, 60 Hz/7 kHz; 4:1 ratio. TRANSIENT INTERMODULATION DISTORTION: 0.1%(Square wave/sine wave). FM NOISE: 72 dB or better below 100% modulation @ 400 Hz, 75 usec de-emphasis. STEREO SEPARATION: 45 dB or better; 30-15,000 Hz (sine wave). DYNAMIC STEREO SEPARATION: 40 dB or better; 30-15,000 Hz (normal program content). LINEAR CROSSTALK: Main to Sub/Sub to Main due to amplitude and phase matching of left and right channels, 30-15,000 Hz, 45 dB minimum below 100% modulation. NON-LINEAR CROSSTALK: Main to Sub/Sub to Main due to distortion products. 70 dB minimum below 100% modulation. 38 kHz SUPPRESSION: 70 dB minimum below 100% modulation. PILOT STABILITY: +/-0.5 Hz, 0° to 50° c.
MODES: Stereo, Mono L+R, Mono (L) and Mono (R) remote controlled (See FS-30 data sheet for full details). SUBCARRIER FREQUENCY: 67 kHz (39 to 95 kHz to order). ±0.5% (330 Hz @ 67 kHz), 0°-50°C. SUBCARRIER HARMONIC CONTENT: Less than 0.3%. SUBCARRIER ENVELOPE DECAY: Greater than 100 msec. from 90% to 10% subcarrier levels. MODULATION CAPABILITY: ±20% of subcarrier frequency. AUDIO INPUT IMPEDANCE: 600 ohm balanced resistive. DATA INPUT IMPEDANCE: 75 ohm unbalanced resistive DC coupled. INPUT LEVELS: (Audio) Adjustable, +10 dBrn to -10 dBrn for +/-6 kHz deviation @ 400 Hz. (Data) Adjustable, 1.0 to 4.0 V p-p for +/-6 kHz deviation (D.C. coupled). PREEMPHASIS: (Audio) 150 microseconds standard (75 usec with internal jumper). (Data) no-pre-emphasis. FREQUENCY RESPONSE: (Audio +/-0.5 dB, 10-10,00OHz, exclusive of audio low-passfilter. (Data) +/-0.5dB, dc-10,000 Hz. AUDIO LOW-PASS FILTER: Sixth order, -3 dB @ 4.3 kHz, standard (resistor changes for other values). DATA LOW-PASS FILTER: Same as AF filter or may be bypassed. TOTAL HARMONIC DISTORTION: Less than 0.5% throughout AF pass band. INTERMODULATION DISTORTION: Less than 0.5%, 6OHz/7kHz; 1:1 ratio (audio pre-emphasis and LPF bypassed).Typical 0.I%. CROSSTALK, SCA TO STEREO: -60 dB or better below l00% modulation of left or right..75 usec de-emphasis. CROSSTALK, STEREO TO SCA: -50 dB or better below ±6 kHz deviation of SCA using 150 usec de-emphasis and FS-30 stereo generator. FM NOISE: 72 dB below +/-6 kHz deviation @ 400 Hz (150 usec de-emphasis). AUTO MUTING LEVEL: Adjustable from 10 to 30 dB below program level. AUTO MUTING DELAY-. Adjustable, 0.5 to 10.0 seconds. 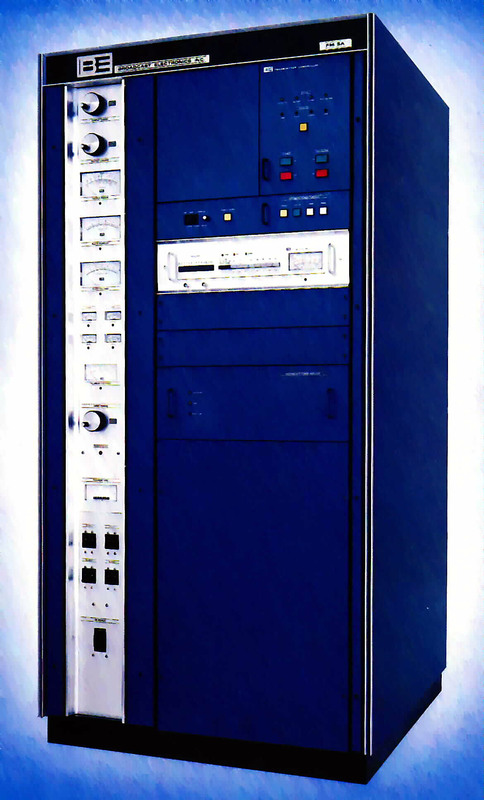 (See FC-30 data sheet for full details).